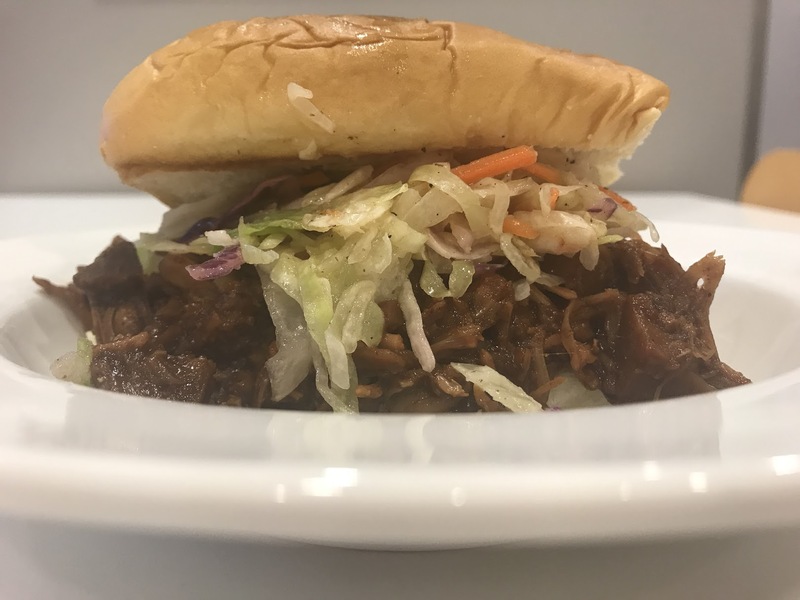 Jackfruit “Pulled Pork” Sandwiches – WellPsyche. Beyond. Prep Time: 5 minutes plus 4-8 hours if using the slow cooker and 30-45 minutes if using the stove top. Drain liquid out of cans and pour contents of both cans of jackfruit into your slow cooker or pan. Cover with bottle of BBQ sauce. Using two forks, separate the chunks of jackfruit so that it takes on the appearance of pulled pork. Spoon onto a roll or bread of your choice (check to make sure it’s dairy and egg free if that’s important to you) and enjoy! If you want to make this sandwich even more delicious, top it with some of this Sweet and Sour Cole Slaw. Pingback: Sweet and Sour Slaw – WellPsyche. Beyond.